Some truly interesting items are emerging through the efforts of researchers using the Freedom of Information Act. John Greenewald at The Black Vault is set to receive over 4,000 MKULTRA-era "behavioral modification" docs from the CIA. The existence of the previously unknown MKUltra pages was discovered in 2016, when a Black Vault user, Oscar Diggs, discovered irregularities in the collection the CIA disclosed to Greenewald. Diggs created a list of missing records and pages described in the index. The CIA refused to fill in the gaps in their original FOIA disclosure, claiming that extant MKUltra documents pertaining to "behavioral modification" were not the same as those pertaining to "mind control." Greenewald is currently crowdfunding to cover the fees imposed by the CIA for the remaining 4,358 pages. The crowdfunding effort is apparently complete and the publication of the docs seems to be on the horizon. Greenewald will be posting them as soon as he gets them, he reports via Twitter. In related news, Emma Best and the crew over at MuckRock obtained and posted an Overview of the Office of Medical Services, 1947-1972 from the CIA. It was composed in 1973 and approved for release in 2017. Lots of material there. Meanwhile, Steven Aftergood at Federation of American Scientists sought and obtained a list from the Department of Energy of classified programs involving the use of human research subjects. Whatever the purposes, the list indicates some dozen such projects were active in 2017 at the DOE. Any number of valid FOIA submissions might be gleaned from the above material. We continue to have several lines out here at The 'Trail. Among other topics, we await responses on the following. After a big initial splash, reports on the Advanced Aviation Threat Identification Program seem to consistently create more questions than answers. 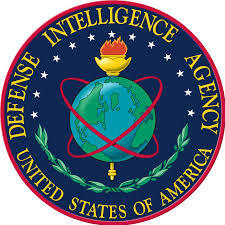 Numerous researchers await files pertaining to a variety of requests submitted to various agencies, including this writer who sought project docs from the Defense Intelligence Agency. In 2017 we obtained a 1978 NSA memo prepared by an assignee about their attendance at a UFO conference. The conference was the 1978 MUFON Symposium and the author of the memo was in all reasonable likelihood Tom Deuley, a long time staple of MUFON and the UFO community. Subsequently requested from NSA was the release of any other material composed by the assignee pertaining to UFOs, UFO conferences or related subject matter. NSA responded that it does not use "UFO" as a category to file memos and similar documents. We therefore requested release of all material composed by the author of the 1978 memo and we look forward to the Agency's response. We also await responses from various agencies on files pertaining to Project PALLADIUM, including reports and details of missions conducted. PALLADIUM activities involved collaborations between NSA and CIA teams which projected false paints upon radar screens. Some mid 20th century missions included the coordinated release of "balloon-borne metalized spheres of different sizes" with the false radar paints, according to a report authored by CIA man Gene Poteat. Such material might be relevant to the UFO community for rather obvious reasons. Perhaps we could eventually cross reference what we learn about PALLADIUM missions with archives of UFO reports. I would take any FOIA documents released by the CIA with a huge grain of salt. 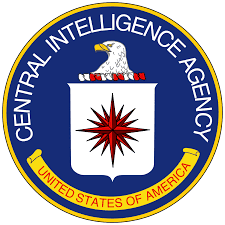 Some things might accidentally leak through the cracks, but unless there is a rare person of conscience and integrity in that evil organization you are not going to uncover the CIA's deepest, darkest secrets that have nothing to do with aliens . . . because aliens aren't real.